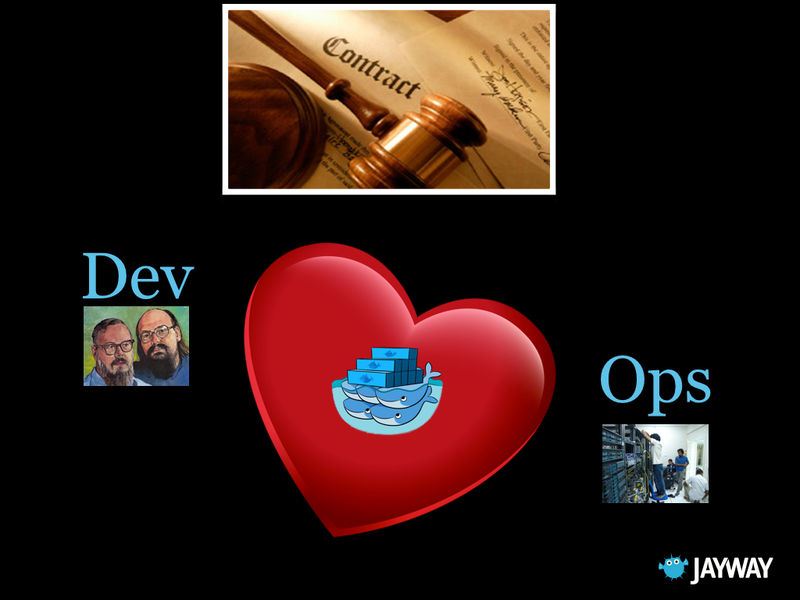 This is the notes that accompany my presentation called Docker, the Future of DevOps. It turned out, quite fittingly, to be a whale-sized article :). What Is Docker And Why Should You Care? Contrary to many others I believe that saying that Docker is a lightweight virtual machine is a very good description. Another way to look at Docker is chroot on steroids. The last explanation probably doesn&apos;t help much unless you know what chroot is. 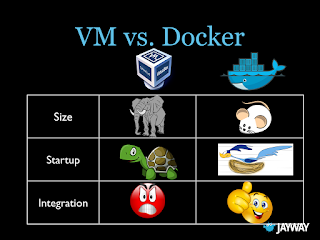 The image describes the difference between a VM and Docker. 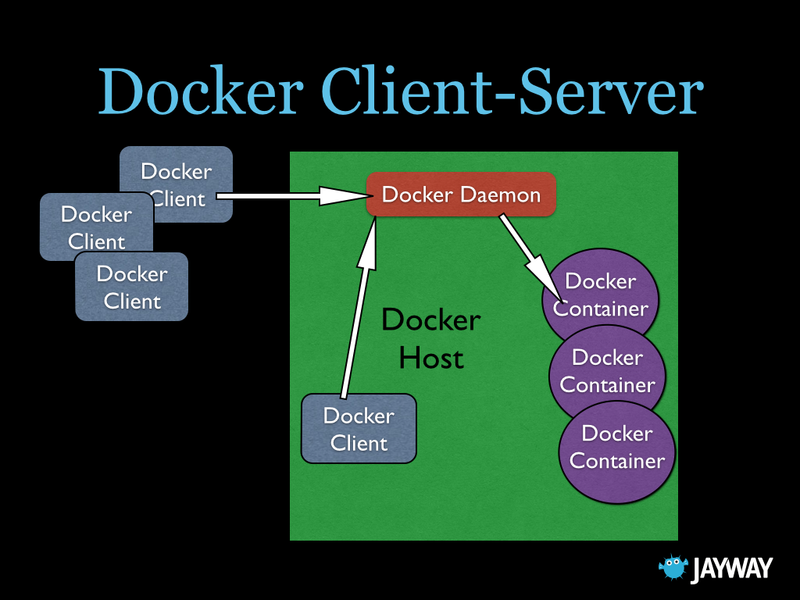 Instead of a hypervisor with Guest OSes on top, Docker uses a Docker engine and containers on top. Does this really tell us anything? 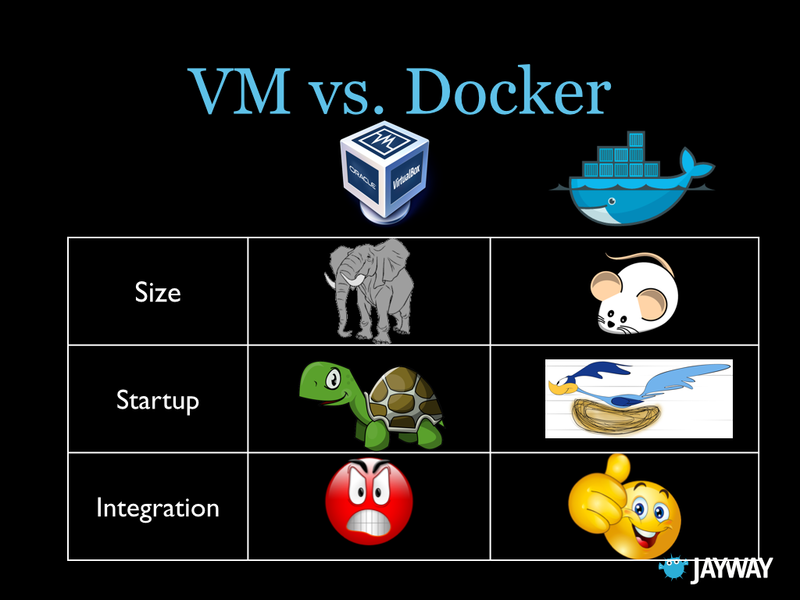 What is the difference between a "hypervisor" and the "Docker engine"? A nice way of illustrating this difference is through listing the running processes on the Host. The following simplified process trees illustrates the difference. On the Host running the VM there is only one process running on the Host even though there are many processes running in the VM. On the Host running the Docker Engine all the processes running are visible. The contained processes are running on the Host! They can be inspected and manipulated with normal commands like, ps, and kill. The size of a small virtual machine image with Core OS is about 1.2 GB. The size of a small container with busybox is 2.5 MB. The startup time of a fast virtual machine is measured in minutes. The startup time of a container is often less than a second. Integrating virtual machines running on the same host must be done by setting up the networking properly. 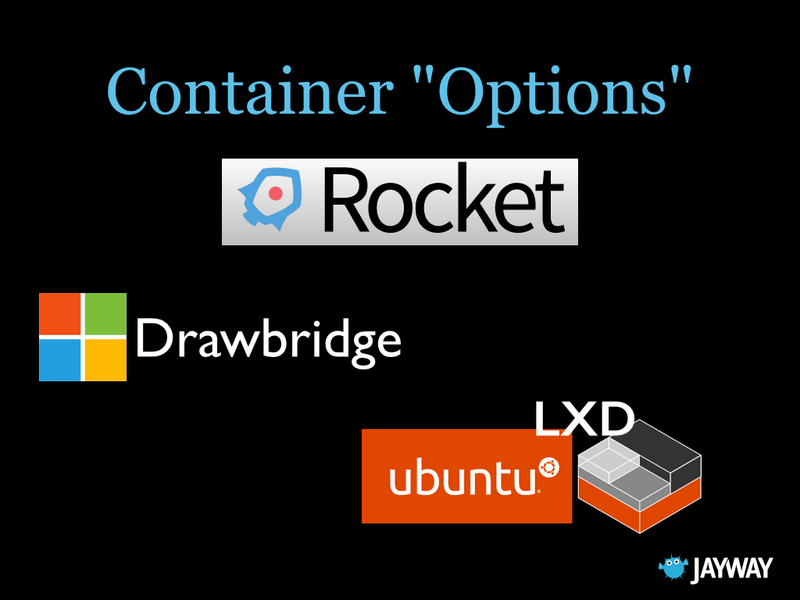 Integrating containers is supported by Docker out of the box. So, containers are lightweight, fast and easily integrated, but that is not all. Docker is also the contract between Developers and Operations. Developers and Operations often have very different attitudes when it comes to choosing tools and environments. Operations want to use the same as they used yesterday, what they used last year, because it is proven, it works! But, this is where Docker shines. Operations are satisfied because they only have to care about one thing. They have to support deploying containers. Developers are also happy. They can develop with whatever the fad of the day is and then just stick it into a container and throw it over the wall to Operations. Yippie ki-yay! But, it does not end here. Since Operations are, usually, better than development when it comes to optimizing for production, they can help developers build optimized containers that can be used for local development. Not a bad situation at all. A few years ago, before virtualization, when we needed to create a new service, we had to acquire an actual machine, hardware. It could take months, depending on the processes of the company you were working for. One the server was in place we created the service and most of the time it did not become the success we were hoping for. The machine was ticking along with a CPU utilization of 5%. Expensive! Then, virtualization entered the arena and it was possible to spin up a new machine in minutes. It was also possible to run multiple virtual machines on the same hardware so the utilization increased from 5%. But, we still need to have a virtual machine per service so the we cannot utilize the machine as much as we would want. Containerization is the next step in this process. Containers can be spun up in seconds and they can be deployed at a much more granular level than virtual machines. 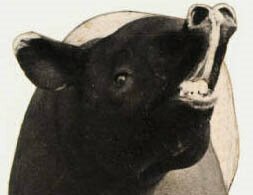 It is indeed nice that Docker can help us speed up our slow virtual machines but why can&apos;t we just deploy all our services on the same machine? You already know the answer, dependency hell. Installing multiple independent services on a single machine, real or virtual, is a recipe for disaster. 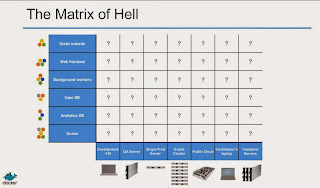 Docker Inc. calls this the matrix of hell. 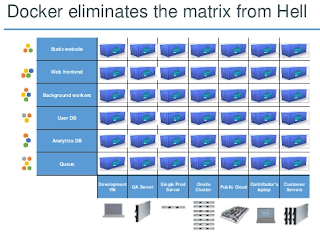 Docker eliminates the matrix of hell by keeping the dependencies contained inside the containers. Speed is of course always nice, but being 100 times faster is not only nice, it changes what is possible. This much increase enables whole new possibilities. It is now possible to create throw-away environments. Need to change your entire development environment from Golang to Clojure? Fire up a container. Need to provide a production database for integration and performance testing? Fire up a container. Need to switch the entire production server from Apache to Nginx? Fire up a container! 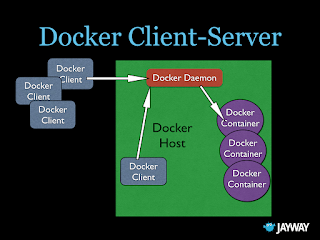 Docker is implemented as a client-server system; The Docker daemon runs on the Host and it is accessed via a socket connection from the client. The client may, but does not have to, be on the same machine as the daemon. The Docker CLI client works the same way as any other client but it is usually connected through a Unix domain socket instead of a TCP socket. The daemon receives commands from the client and manages the containers on the Host where it is running. Host, the machine that is running the containers. Image, a hierarchy of files, with meta-data for how to run a container. Container, a contained running process, started from an image. Registry, a repository of images. Volume, storage outside the container. Dockerfile, a script for creating images. We can build an image from a Dockerfile. We can also create an image by commiting a running container. The image can be tagged and it can be pushed to and pulled from a registry. A container is started by runing or createing an image. A container can be stopped and started. It can be removed with rm. An image is a file structure, with meta-data for how to run a container. The image is built on a union filesystem, a filesystem built out of layers. Every command in the Dockerfile creates a new layer in the filesystem. When a container is started all images are merged together into what appears to the process as unified. When files are removed in the union file system they are only marked as deleted. The files will still exist in the layer where they were last present. $ docker images  # shows all images. $ docker import  # creates an image from a tarball. $ docker build   # creates image from Dockerfile. $ docker commit  # creates image from a container. $ docker rmi     # removes an image. $ docker history # list changes of an image. scratch - this is the ultimate base image and it has 0 files and 0 size. 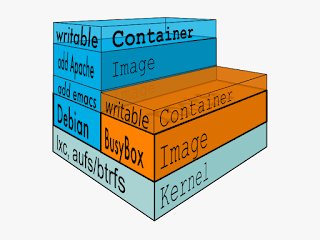 busybox - a minimal Unix weighing in at 2.5 MB and around 10000 files. debian:jessie - the latest Debian is 122 MB and around 18000 files. ubuntu:14.04 - Ubuntu is 188 MB and has around 23000 files. Images can be created with docker commit container-id, docker import url-to-tar, or docker build -f Dockerfile . As you can see from the above session, it is possible to create images with docker commit but it is kind messy and it is hard to reproduce. It is better to create images with Dockerfiles since they are clear and are easily reproduced. $ docker build -tag postgres-iojs . Since every command in the Dockerfile creates a new layer it is often better to run similar commands together. Group the commands with and and split them over several lines for readability. The ordering of the lines in the Dockerfile is important as Docker caches the intermediate images, in order to speed up image building. Order your Dockerfile by putting the lines that change more often at the bottom of the file. ADD and COPY get special treatment from the cache and are re-run whenever an affected file changes even though the line does not change. The Dockerfile supports 13 commands. Some of the commands are used when you build the image and some are used when you run a container from the image. Here is a table of the commands and when they are used. FROM - The image the new image will be based on. 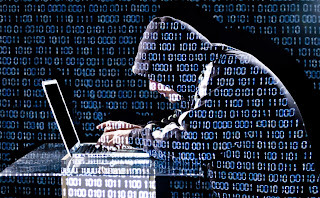 MAINTAINER - Name and email of the maintainer of this image. COPY - Copy a file or a directory into the image. ADD - Same as COPY, but handle URL:s and unpack tarballs automatically. RUN - Run a command inside the container, such as apt-get install. ONBUILD - Run commands when building an inherited Dockerfile. 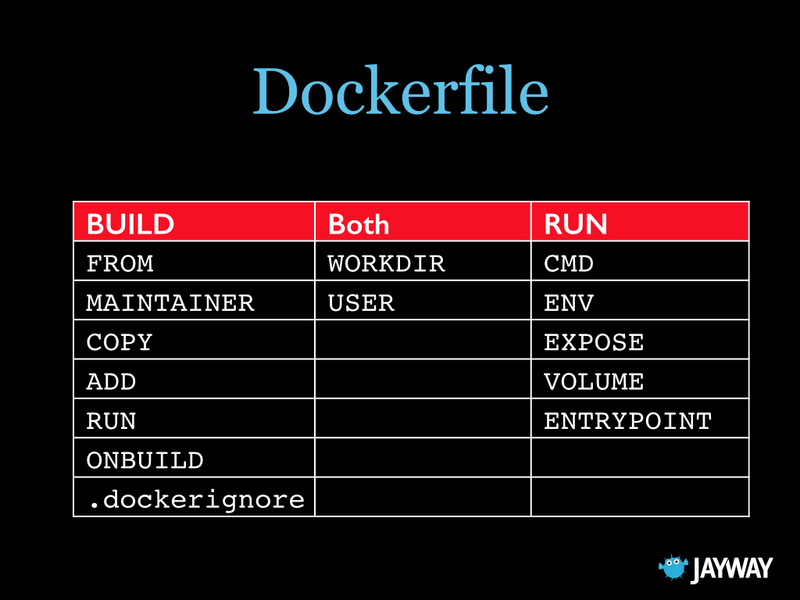 .dockerignore - Not a command, but it controls what files are added to the build context. Should include .git and other files not needed when building the image. CMD - Default command to run when running the container. Can be overridden with command line parameters. ENV - Set environment variable in the container. EXPOSE - Expose ports from the container. Must be explicitly exposed by the run command to the Host with -p or -P.
ENTRYPOINT - Specify a command that is not overridden by giving a new command with docker run image cmd. It is mostly used to give a default executable and use commands as parameters to it. USER - Set the user for RUN, CMD and ENTRYPOINT. WORKDIR - Sets the working directory for RUN, CMD, ENTRYPOINT, ADD and COPY. When a container is started, the process gets a new writable layer in the union file system where it can execute. Since version 1.5, it is also possible to make this top layer read-only, forcing us to use volumes for all file output such as logging, and temp-files. 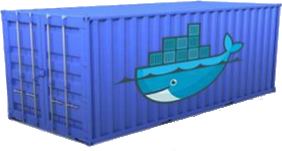 $ docker create  # creates a container but does not start it. $ docker run     # creates and starts a container. 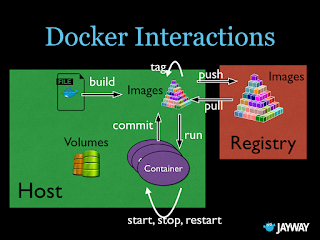 $ docker stop    # stops it. $ docker start   # will start it again. $ docker restart # restarts a container. $ docker rm      # deletes a container. $ docker kill    # sends a SIGKILL to a container. $ docker attach  # will connect to a running container. $ docker wait    # blocks until container stops. $ docker exec    # executes a command in a running container. As the list above describes, docker run is the command used to start new containers. Here are some common ways to run containers. This is the way to run a container if you want to interact with it as a normal terminal program. If you want to pipe into the container, you should not use the -t option. --interactive (-i) - send stdin to the process. -tty (-t) - tell the process that a terminal is present. This affects how the process outputs data and how it treats signals such as (Ctrl-C). --rm - remove the container on exit. ubuntu - use the ubuntu:latest image. --name - name the container, otherwise it gets a random name. mysql - use the mysql:latest image. The nginx image, for example, exposes port 80 and 443. It updates the /etc/hosts with the link name given to the container, db in the example above. Making it possible to access the container by the name db. This is very good. It creates environment variables for the EXPOSEd ports. This is practically useless since I can access the same port by using a hostname:port combination anyway. The linked networking is not constrained by the ports EXPOSEd by the image. All ports are available to the linking container. It is also possible to limit how much access the container has to the Host&apos;s resources. Setting CPU shares to 512 out of 1024 does not mean that the process gets access to half of the CPU, it means that it gets half as many shares as a container that is run without any limit. If we have two containers running with 1024 shares and one with 512 shares the 512-container will get about 1 fifth of the CPU shares. docker exec allows us to run commands inside already running containers. This is very good for debugging among other things. Volumes provide persistent storage outside the container. That means the data will not be saved if you commit the new image. Since the directory of the host is not given, the volume is created in /var/lib/docker/volumes/ec3c543bc..535. The exact name of the directory can be found by running docker inspect container-id. It is also possible to mount volumes from another container with --volumes-from. 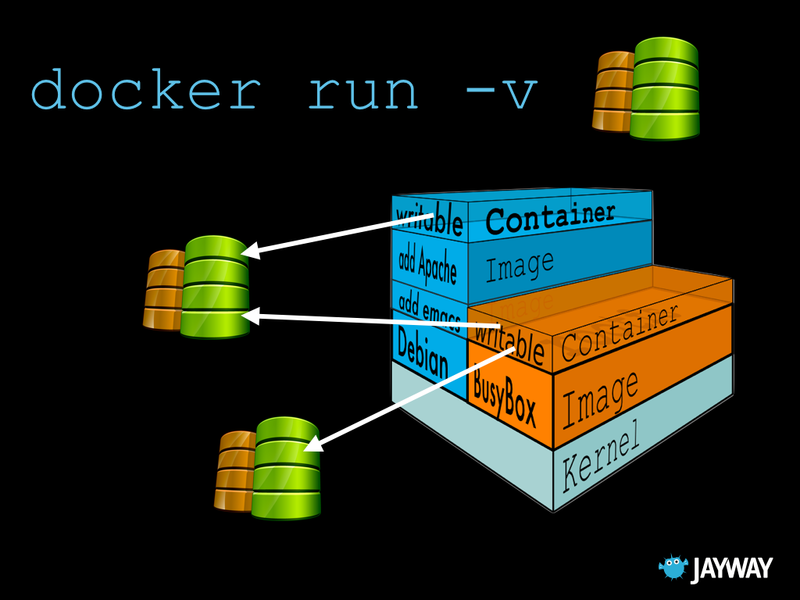 Docker Hub is the official repository for images. It supports public (free) and private (fee) repositories. Repositories can be tagged as official and this means that they are curated by the maintainers of the project (or someone connected with it). Docker Hub also supports automatic builds of projects hosted on Github and Bitbucket. If automatic build is enabled an image will automatically be built every time you push to your source code repository. If you don&apos;t want to use automatic builds, you can also docker push directly to Docker Hub. docker pull will pull images. docker run with an image that does not exist locally will automatically initiate a docker pull. It is also possible to host your images elsewhere. Docker maintains code for docker-registry on Github. But, I have found it to be slow and buggy. Quay, Tutum, and Google also provides hosting of private docker images. $ docker ps      # shows running containers. $ docker inspect # info on a container (incl. IP address). $ docker logs    # gets logs from container. $ docker events  # gets events from container. $ docker port    # shows public facing port of container. $ docker top     # shows running processes in container. 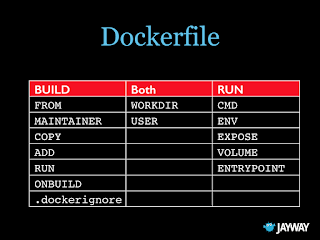 $ docker diff    # shows changed files in container's FS. I will only elaborate on docker ps and docker inspect since they are the most important ones. # Output is shortened for brevity. To get the id of a container is useful for scripting. docker inspect can take a format string, a Go template, and it allows you to be more specific about what data you are interested in. Again, useful for scripting. 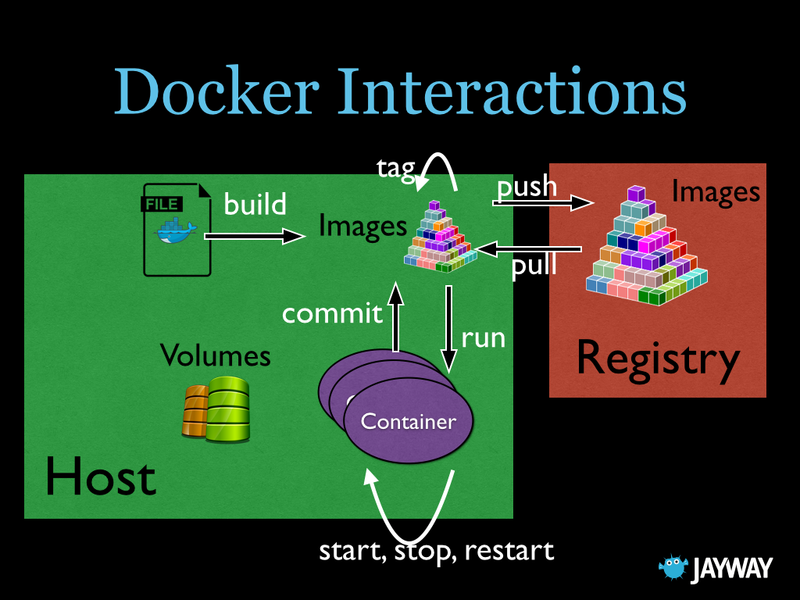 Use docker exec to interact with a running container. # Get the environment variables of a running container. Use volumes to avoid having to rebuild an image every time you run it. Every time the below Dockerfile is built it copies the current directory into the container. 3 MAINTAINER Anders Janmyr "anders@janmyr.com"
To avoid the rebuild, build the image once and then mount the local directory when you run it. You may have heard that it is not secure to use Docker. This is not untrue, but it does not have to be a problem. 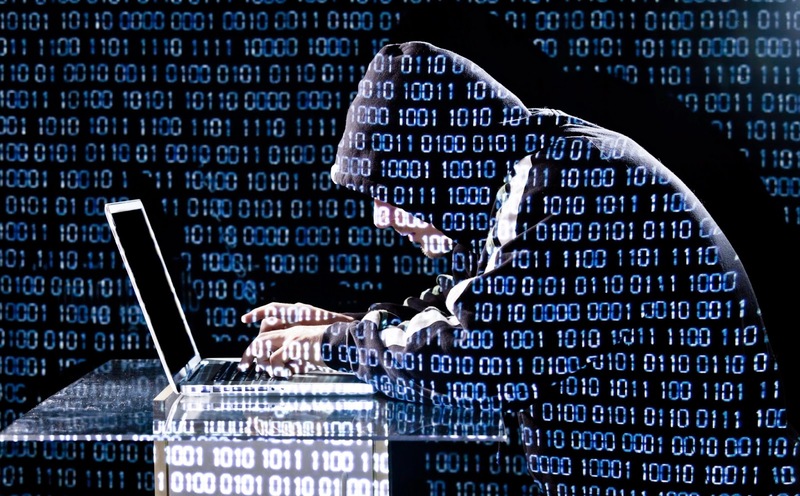 The following security problems currently exists with Docker. Image signatures are not properly verified. If you have root in a container you can, potentially, get root on the entire box. Use trusted images from your private repositories. Don&apos;t run containers as root, if possible. If you own all the containers running on the server, you don&apos;t have to worry about them interacting with each other maliciously. I put "options" in quotes since there are not really any options at the moment, but a lot of players want to get in the game. Ubuntu is working on something called LXD and Microsoft on something called Drawbridge. But, the one that seems most interesting is the one called Rocket. Rocket is developed by Core OS, who is a big container (Docker) platform. The reason for developing it is that they feel that Docker Inc. are bloating Docker and also that they are moving into the same area as Core OS, which is container hosting in the cloud. With this new container specification they are trying to remove some of the warts which Docker has for historical reasons and to provide a simple container with support for socket activation and security built in from the start. When we split up our application into multiple different containers we get some new problems. How do we make the different parts talk to each other? On a single host? On multiple hosts? 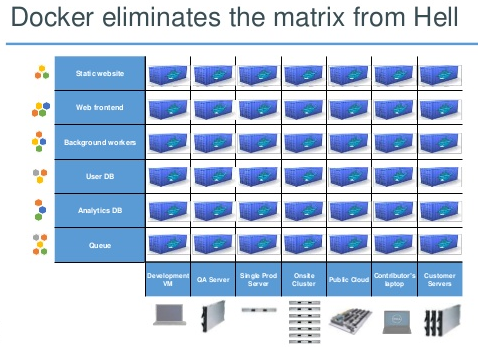 Docker solves the problem of orchestration with on single host with links. To simplify the linking of containers Docker provides a tool called docker-compose. 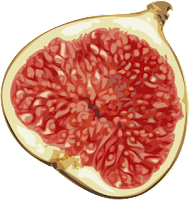 It was previously called fig and was developed by another company which was recently acquired by Docker. docker-compose declares the information for multiple containers in a single file, docker-compose.yml. Here is an example of a file that manages two containers, web and redis. To start the above containers, you can run the command docker-compose up. It is also possible to start the containers in detached mode with docker-compose up -d and I can find out what containers are running with docker-compose ps. It is possible to run commands that work with a single container or commands that work with all containers at once. As you can see from the above commands, scaling is supported. The application must be written in a way that can handle multiple containers. Load-balancing is not supported out of the box. 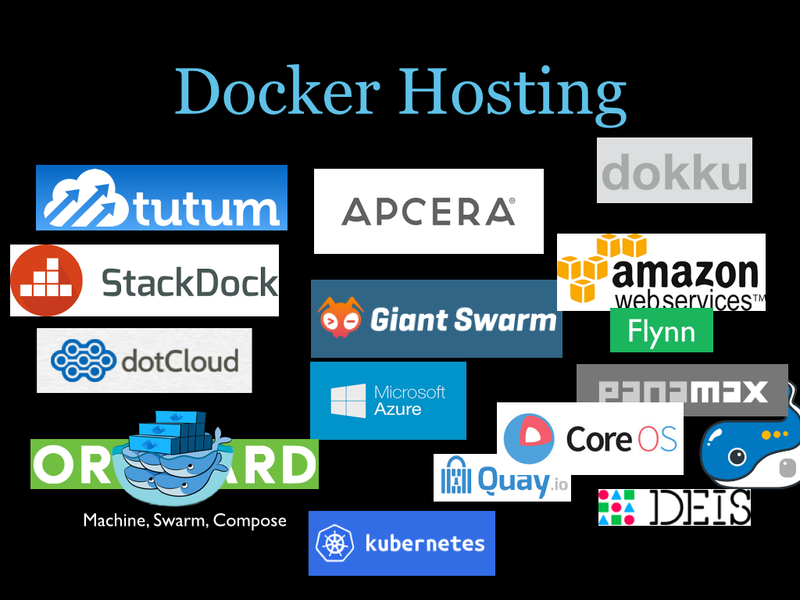 A number of companies want to get in on the business of hosting Docker in the cloud. The image below shows a collection. As the image shows, Core OS is a collection of services to enable hosting of multiple containers in a Core OS cluster. The Core OS Linux distribution is a stripped down Linux. It uses 114MB of RAM on initial boot. It does not provide a package manager, since it uses Docker or their own Rocket container to run everything. 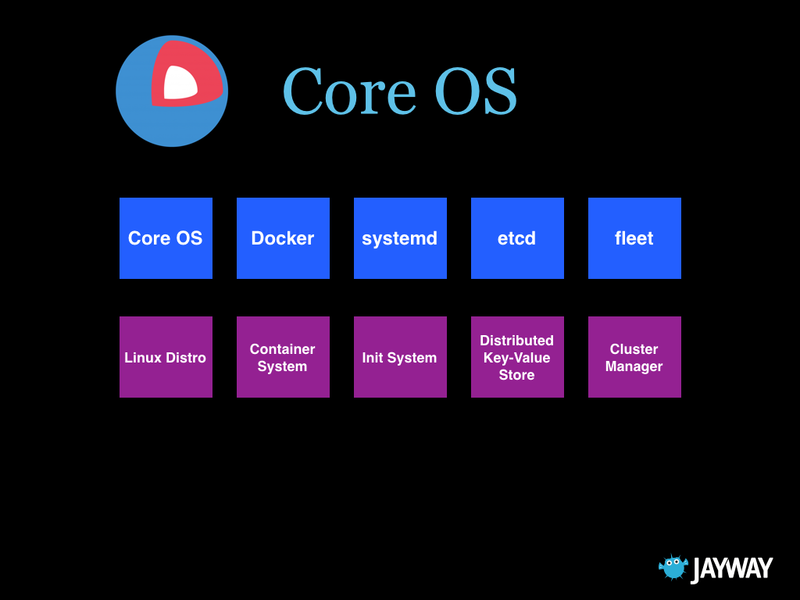 Core OS uses Docker (or Rocket) to install an application on a host. It uses systemd as init-service since it has great performance, handles start-up dependencies well, has great logging, and supports socket-activation. etcd is a distributed, consistent key value store for shared configuration and service discovery. fleet is a cluster manager. It is an extension of systemd to work with multiple machines. It uses etcd to manage configuration and it is running on every Core OS machine. It is possible to host Docker containers on Amazon in two ways. Elastic Beanstalk can deploy Docker containers. This works fine but I find it to be very slow. A new deploy takes several minutes and it does not feel right when a container can be started in seconds. ECS, Elastic Container Service, is Amazon&apos;s upcoming container cluster solution. It is currently in preview 3 and it looks very promising. Just as with Amazon&apos;s other services, you interact with it through simple web service calls. Docker is here to stay. Cluster solutions exists, but don&apos;t expect them to be seamless, yet!